If it’s good enough for Star Wars, it’s surely good enough for you. Stop into Farren’s Bar while you’re there, won’t you? It’s the most southerly tip of the Irish mainland and its rugged landscape is utterly *breathtaking*. Not only that, but there are views of Fastnet Rock and Cape Clear that can’t be beat. All the ingredients for the perfect hike. 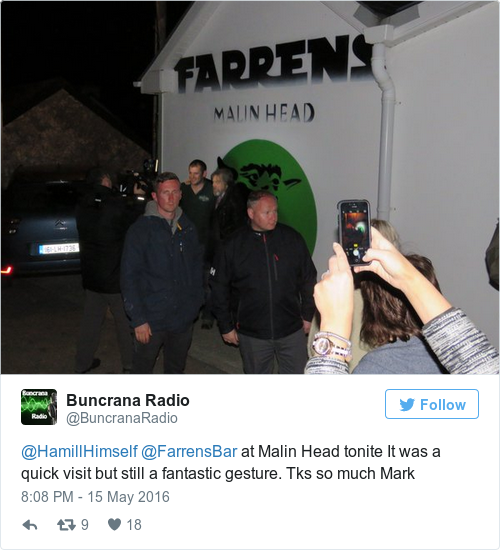 When you’re done, make sure to pop into O’Sullivan’s Bar, Crookhaven. Earlier this year, Sean’s Bar in Athlone was named by Lonely Planet as one of ’50 Bars To Blow Your Mind’ in the world. The pub was founded in 900 AD and claims to be the oldest pub in Ireland, if not Europe. For cosiness and craic, it’s utterly unrivaled. Visit Davy Macs, a snug little pub in Waterford City, to sample the best gin and tonic in Ireland. The drink is made using Drumshanbo Gunpowder Irish gin and elderflower fever tree tonic, and it’s divine. Nip into Franciscan Well Brewery in Cork City for a scoop of red ale. And visit the Teeling Whiskey Distillery in Dublin 8 to treat yourself to some whiskeys. Sure, didn’t it win a rake of prizes at the 2016 Irish Whiskey Awards? All that and you don’t have to put up with Guinness farts. The home of the reigning Queen of Ireland is a must-visit Dublin landmark. Sure, didn’t the museum pick up a Europa Nostra Award this year, one of the most prestigious accolades in the heritage field? The projects chosen by the juries are excellent examples of creativity, innovation, sustainable development and social participation in the heritage field throughout Europe. Little Museum of Dublin was the only Irish museum cited for the award. And with good reason – it’s bleedin’ deadly. Enter Ballyfin Demesne in Co. Laois, a stunning (but pricey) hotel that’s won kudos from publications all over the world and should definitely be on your If I Won The Lotto… list. We promise it’ll make your favourite sports look like child’s play. Trust us when we say there’s nothing like a room of merry Irish people singing The Auld Triangle or Ride On. 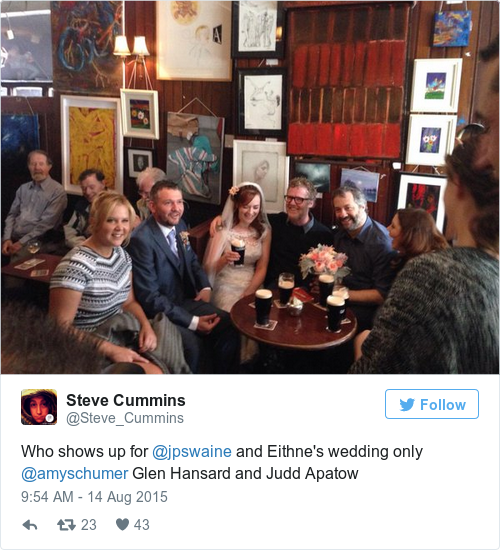 Amy Schumer did it while she was here. 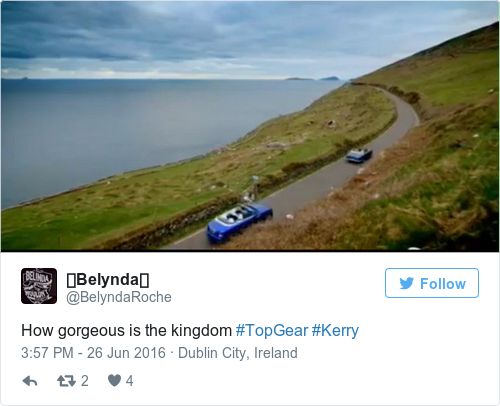 Channel your inner Jeremy Clarkson and sample everything that Ireland’s countryside has to offer by taking road trip. Be warned: you may end up pulling over a few times to bask in the beauty of the Wesht. We may act as though we’re all about quaint trad sessions and storytelling, but if you want to know what Ireland’s really like, visit Coppers. It’s a rite of passage, tbh. 13. Did we mention that we’ll let you stay in a literal castle if you come here? If you’ve ever wanted to live out a Game of Thrones fantasy, then you’re in luck as Airbnb is full of literal castles for you to stay in. Like Annes Grove in Co. Cork. Or Ballintotis Castle in East Cork. Or Ross Castle in Co. Meath. Sure, where would you get it? Email “13 rather excellent reasons to visit Ireland in 2017”. Feedback on “13 rather excellent reasons to visit Ireland in 2017”.